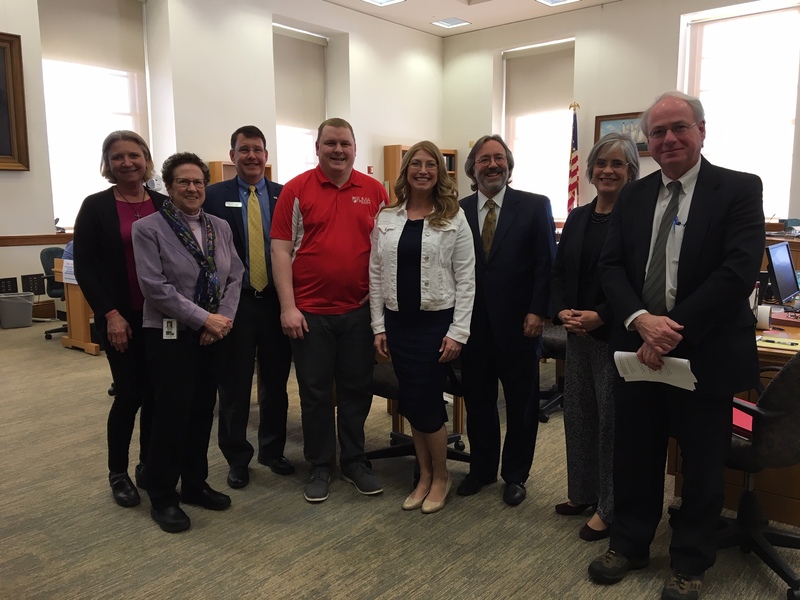 This spring, students from the University of Maine at Augusta could be found at the Maine State House testifying on behalf of UMS and receiving recognition before a Joint Session of the Maine Legislature. 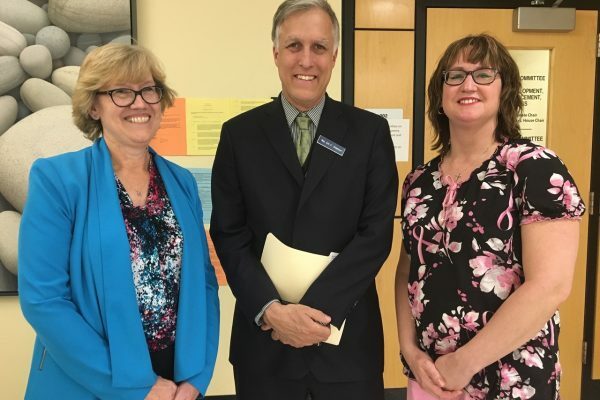 UMS Chancellor James Page addressed a Joint Session of the Maine Legislature outlining the progress made by Maine’s public universities on initiatives that support workforce development and on its continuing efforts in that regard. As part of his remarks, Chancellor Page recognized Emily Christiansen, a UMA Justice Studies student from Kennebec County who is pursuing her education online while working and raising a family. 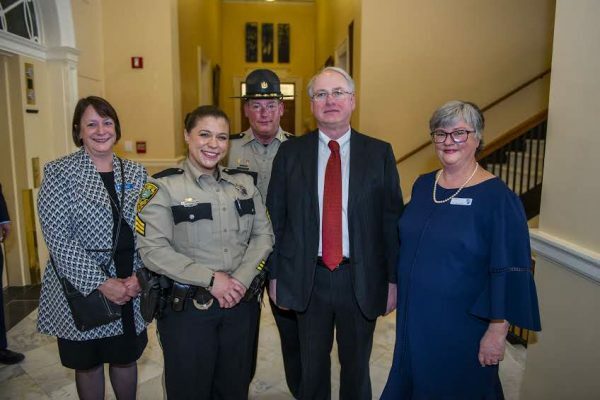 Emily, a student veteran, attended as Chancellor Page’s guest and was accompanied by UMA President Rebecca Wyke, UMA Assistant Professor of Justice Studies Sharon McMahon Sawyer, and Kennebec County Sheriff Ken Mason. In addition to pursuing her studies, Emily is employed as a Sergeant of the Transport Division for the Kennebec County Sheriff’s Office and is a wife and mother of five children. 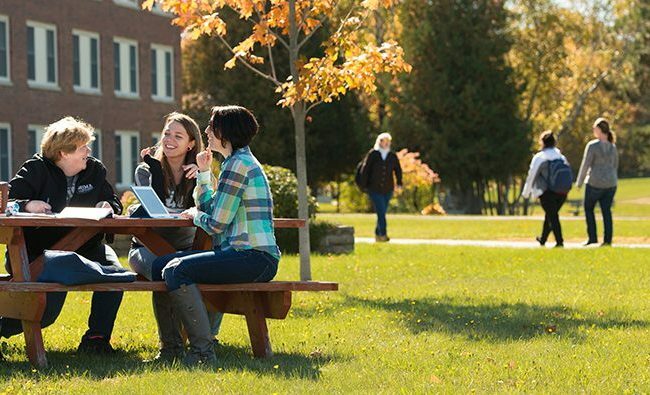 The UMA Justice Studies program, a fully online program, provides flexibility for students seeking a degree and needing to meet family and work obligations. Upon completing her education, Emily envisions seeking opportunities that will allow her to continue her commitment to public service. 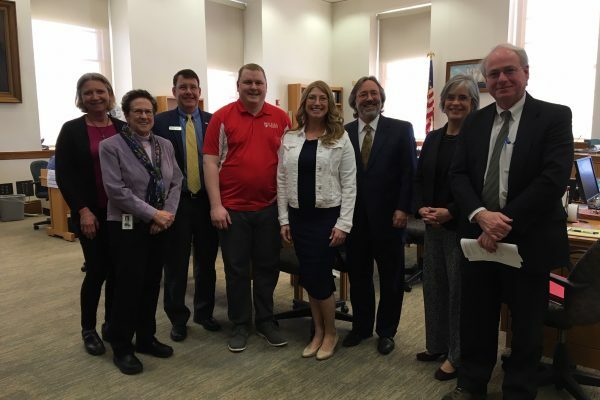 Samantha Brown, a UMA student veteran, testified on behalf of the University of Maine System’s portion of the State budget, providing legislators with an overview of her experiences and perspectives. A Biology major, Samantha explained how the faculty and staff at UMA understood the needs of adult learners, like herself, who have family and work obligations and how UMA supported her as she pursues her educational goals. While at UMA she is taking part in a trip to the Dominican Republic led by Associate Professor Susan Baker. Upon graduation, Samantha intends to continue her education by becoming an osteopathic doctor. Samantha, her husband and children reside in St. Albans. Chancellor James Page presented the UMS budget to the Appropriations and Financial Affairs Committee, which met in conjunction with Committee Education and Cultural Affairs Committee. 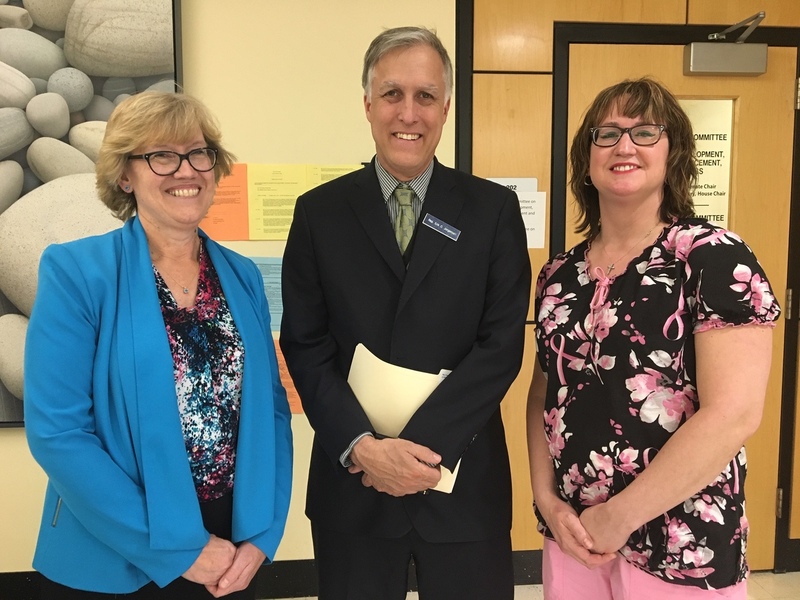 Andrew Silbsy, President and CEO of Kennebec Savings Bank and Chair of UMA’s Board of Visitors, among others provided statements in support of the public higher education funding initiatives contained in the proposed budget. Additionally, UMA nursing student Danielle Doyon provided impressive and compelling testimony on behalf of a bill to fund the state’s nursing educator loan program. This is an important bill for nursing students at UMA and throughout the University of Maine System. Also testifying on behalf of the bill was Rosa Redonnett, UMS Chief Student Affairs Officer. If passed, the additional funding could help remove a pinch point in Maine’s nursing workforce pipeline.